Summer seems to be prematurely over already for another year but that doesn’t mean we don’t want to bring some beach vibes indoors. A great way to do just that is to invite some fronds over in the form of palm trees. Whilst there are plenty of delicate and traditional illustrated palms, a developing trend is a more contemporary and graphic representation of palm trees in print. 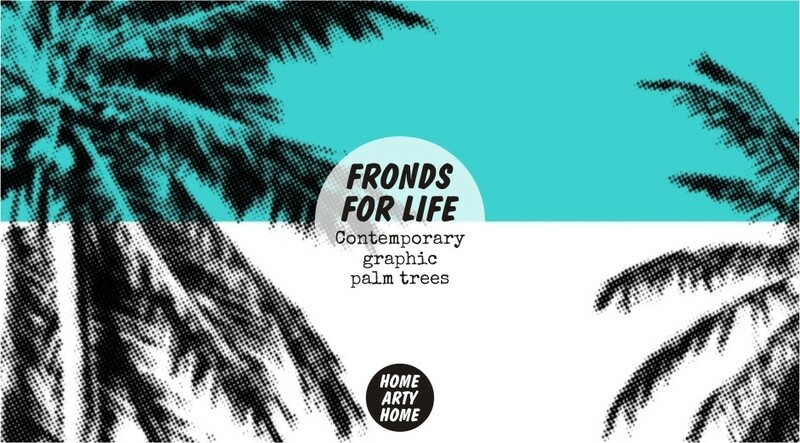 From graphic pop art to silhouetted leaves, here’s Home Arty Home’s round-up of striking palm prints that will soon become your new best fronds!